With the new open office environment, we all know and love huddle rooms have started popping up all over! They are the perfect space for 4 to 6 participants to collaborate on projects without disrupting the work on others. Often times these smaller groups will need to interact with other people who are working remotely. This can cause problems when making sure that these spaces have the tools they need to fit this unique space. Well, our experts at VoIP Supply have taken the time to focus on conferencing tools that help fit this need. From portable conference phones to all-in-one solutions that can be attached right to the wall (saving you some precious table space) we have all you need and more for huddle rooms. The same can be said about offices. We often find ourselves having a very important spur of the moment meetings in offices and crowding around a desk phone that we turned on to speakerphone. Not only is it uncomfortable for the people in the room it is uncomfortable for the person on the other end of the line too. You can only ask someone to repeat themselves so many times before you are dying of awkwardness. So let's be honest here if your work is important enough that you have a meeting isn't it a little important that you are heard? I thought so. Check out some simple solutions below that will have everyone hearing you loud and clear. 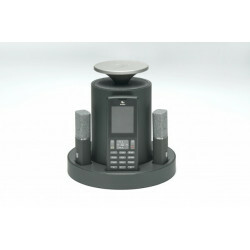 From conference phones with portable mics for each person or something that easily collaborates with your softphone (even on your cell), we have what you need. 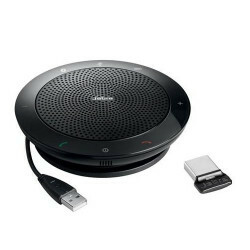 The Jabra SPEAK 510 UC is a portable conference speakerphone that can turn anywhere into a conference room. 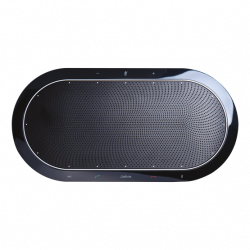 The SPEAK 510 UC has Hifi/wideband, an omni directional mic, and Bluetooth and USB connectivity for use with a PC, smartphone, or tablet. 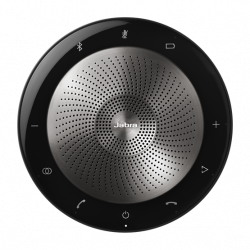 The Jabra SPEAK 510 MS is a portable conference speakerphone optimized for Microsoft that can turn anywhere into a conference room. The SPEAK 510 MS has Hifi/wideband, an omni directional mic, and Bluetooth and USB connectivity for use with a PC, smartphone, or tablet. 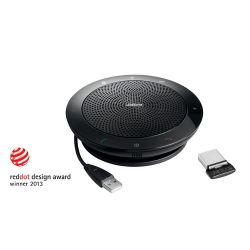 The Jabra SPEAK 510+ UC is a portable conference speakerphone and USB Bluetooth adapter that can turn anywhere into a conference room. The SPEAK 510+ UC has Hifi/wideband, an omni directional mic, and Bluetooth and USB connectivity for use with a PC, smartphone, or tablet. 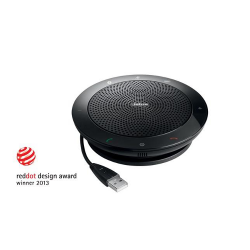 The Jabra SPEAK 510+ MS is a portable conference speakerphone optimized for Microsoft and USB Bluetooth adapter that can turn anywhere into a conference room. The SPEAK 510+ MS has Hifi/wideband, an omni directional mic, and Bluetooth and USB connectivity for use with a PC, smartphone, or tablet. 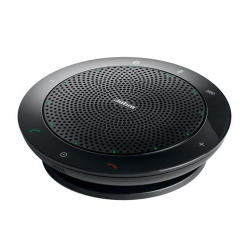 The Jabra SPEAK 810 UC Speakerphone makes conference calling simple, and also allows for easy collaboration. With a slim, compact design, you receive the perfect solution for audio conferencing with an integrated USB Cable for quick set up. 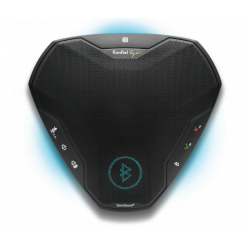 The Konftel Ego is a compact and portable personal speaker phone which delivers crystal-clear sound thanks to our unique OmniSound® audio technology. It’s ideal for a meeting with a couple of colleagues in one of your smaller conference rooms. Or in a hotel room while you’re away from the office. If you’re alone in the room, the Konftel Ego is a good alternative to a headset. 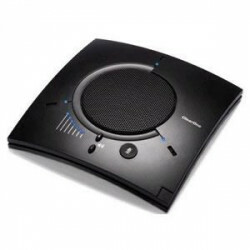 The Konftel Ego works harmoniously with Skype for Business, Cisco Jabber, Avaya Communicator and other conferencing platform. Jabra SPEAK 710 UC Speakerphone lets you enjoy high-quality sound in a premium "take me anywhere" design. Answer your calls or listen to music, whatever you do, you'll do with great quality. The Speak 710 features an Omni-directional microphone that can accommodate up to 6 attendees in a room with superb sound performance.